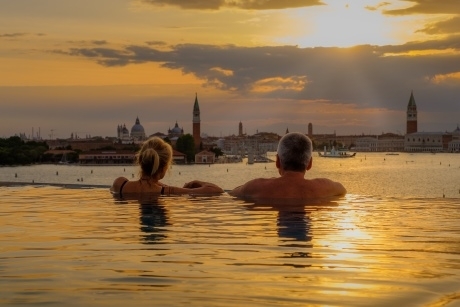 Following a study by Viking Cruises on contentment, which revealed the age at which we become most happy, we look at some of the different wellbeing trips available for groups. The research highlighted that we begin to relax and enjoy the finer things in life from our mid 40s onwards, with nearly 30 percent of those asked stating that having more time to travel helps them to feel more content. Meanwhile, a separate study also carried out by Viking showed that nearly 90 percent go on holiday in order to increase their happiness. Getting outside for a breath of fresh air was voted as a ‘happiness trigger’ by nearly 65 percent of those surveyed. New among HF Holidays’ offerings for 2019 are Gentle Guided Walking holidays, which feature gentle strolls of three or four miles, along with a variety of sightseeing opportunities, giving your group the chance to take in some fresh air and natural wonders at the same time. Cruises generally offer a chance to unwind, with no need to worry about sourcing places to eat or organising travel from each of your destinations but recently some cruise lines have started adding to their relaxation offerings. AmaWaterways’ river ship AmaMagna, which will begin sailing next year, will feature an entire wellness studio intended to further relax passengers. The Zen Wellness Studio will come complete with a large exercise area and will see group classes focused on stretching, cardio and core-strengthening offered. Meanwhile, European Waterways is now offering health-themed holidays, which will give travelling groups the opportunity to enjoy gentle exercise and morning yoga classes on board their ‘Ladies at Leisure’ cruises. Sometimes holidays can be as manic as real life, and that is something that G Adventures has picked up on. As a result, its 2019 programme will feature trips to ten destinations, including Nepal and Peru, with the aim of encouraging groups to slow down while travelling. The wellness itineraries will include regular yoga classes, intention setting sessions and healthy food. Groups will be encouraged to participate in a range of local rituals, such as a purification bath in Bali, a prayer ceremony in Nepal and an ashram stay in India. In Britain, it could be argued that there are few things more relaxing than a chat over a cup of tea. For those looking to combine the traditional with something a little out of the ordinary, Bateaux London offers a classic afternoon tea on board their Harmony boat. Groups of 21 or more benefit from discounts as they sail through London and snack on an assortment of sandwiches, pastries, scones and tea. A trip to any spa is sure to help groups to relax and encourage a sense of well-being, but a visit to Rudding Park Spa in Harrogate will provide visitors with the added opportunity of enjoying organic treatments, herbal-infused steam and saunas, mud treatments and a rooftop spa, complete with a hydrotherapy infinity pool and panoramic sauna.